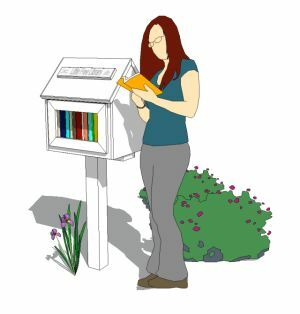 Another Southeast Portland Little Free Library! Stopped by as we were spreading some books around. I got a couple of boxes of donations all at once, and I’m trying to not have them take over my house. I love the colors on this one! It’s right on the corner of Yamhill and 92nd, and near an elementary school. On this visit, there were a bunch of what looked like college textbooks, along with some nifty novels, some children’s books, and a copy of a really nice guidebook from the Louvre. I only left two books as this library was already pretty full. I pass this one at least weekly while doing errands, but I never remember to stop by. I’m glad the Little Library Locator reminded me it was here!